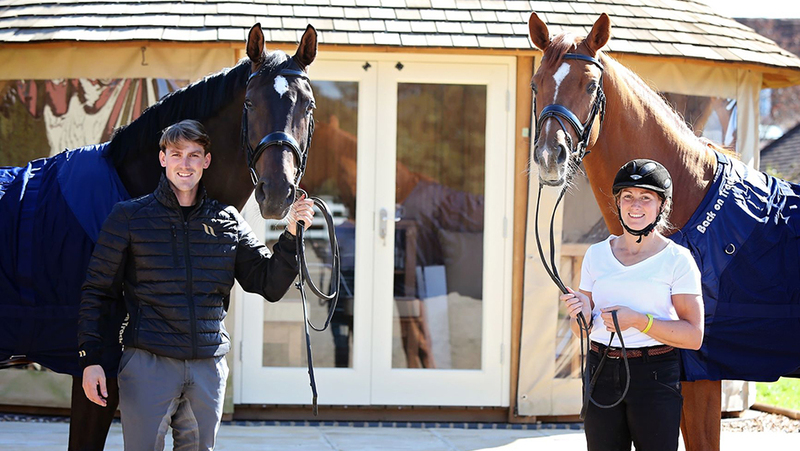 Back on Track has unveiled its new partnership with international British dressage riders Michael Eilberg, Maria Eilberg and Maya Eilberg, who are based near Redditch in Worcestershire. With somewhat of a dressage pedigree, the family are renowned as world-class riders and trainers who have competed at the highest levels. In 2010, Maria won silver at the 2010 World Equestrian Games in Lexington, USA. In 2018, Maya was placed fourth at the NAF Five Star Winter Championships, whilst in 2014 and 2015, Michael achieved silver at both the World Equestrian Games in Caen and the Continental Championships at Aachen. “It’s fantastic to be working with Michael, Maria and Maya and a wonderful opportunity for Back on Track to support not only British dressage riders, but to watch the family produce the next generation of top dressage horses,” said Georgia Keegan, Sales Manager for Back on Track UK.